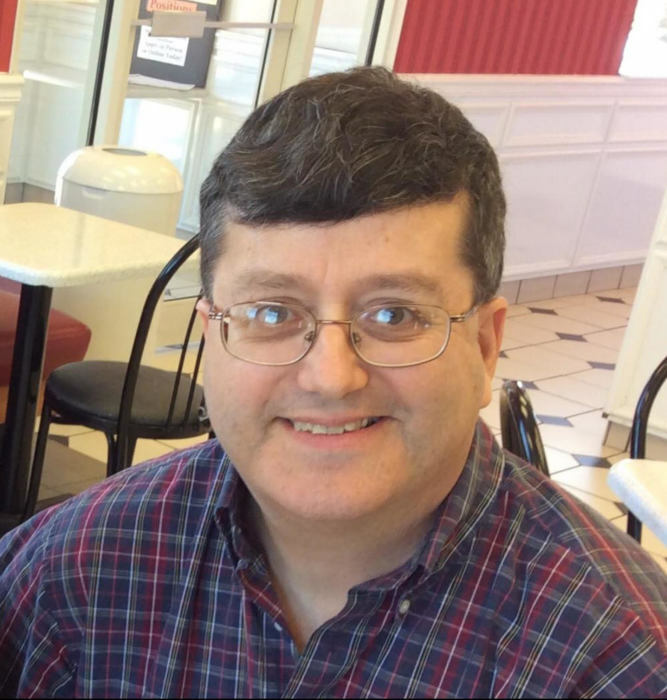 William “Bill” Besore age 57 passed away January 30, 2019. He is survived by his mother Noreen, wife Robin, children Marie and Daniel, seven siblings Mary Durward, Barbara Newberg, Katherine Calm, Nancy Besore, Eileen (Peter) Martyn, Charles (Juanita) Besore and Thomas (Chantal) Besore, and uncle of many nieces and nephews. Bill’s visitation is Thursday, February 7th from 4-8 PM at Leonard Memorial Funeral Home, 565 Duane St. Glen Ellyn, IL 60137 (630-469-0032). Funeral Mass Friday, February 8th at 10 AM at St. Petronille Church, 420 Glenwood Ave. Glen Ellyn. Interment Assumption Cemetery in Wheaton, IL. In lieu of flowers please consider a donation on to the Baby Jack Reese Fund or his sister in law Gail’s residential care facility “Trinity Services” on Bill Besore's behalf or Trinity Services, 301 Veterans Parkway, New Lenox IL 60451.